Sometimes I am struck by an idea that doesn’t fit the rest of my ideas, isn’t going to sell, but just wants to be written. I’ve published some of those stories as bonuses to my more “likeable” stories. But I have one that I’ve been wondering for some time what to do with. Maybe someday I’ll include it in an anthology. But today, I feel like sharing it. I may take it down in a week, like Kristine Kathryn Rusch likes to do. Or maybe I’ll leave it up. 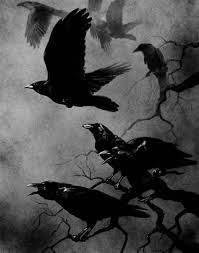 In the mean time, enjoy a strange and haunting tale about a girl with feathered friends who are anything but friendly. 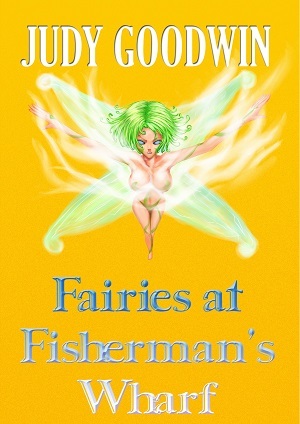 Fairies at Fisherman’s Wharf Released! So it’s finally out! 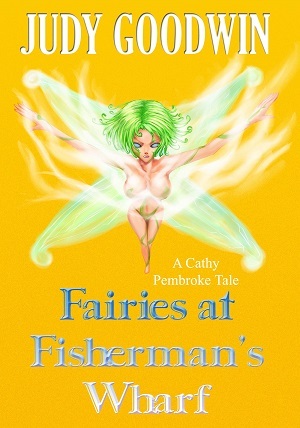 “Fairies at Fisherman’s Wharf”, the second Cathy Pembroke Tale, is now available for purchase at Amazon, Barnes and Noble, Smashwords, and Kobo. Cathy Pembroke is a stubborn but well-meaning Oakland cop placed into a special Task Force to deal with creatures crossing over from Fae. Scientists think the gates started to open between the worlds thanks to deforestation, but nobody knows for sure. All Cathy knows is the critters really make a mess of things when they hit major tourist attractions. This time, it’s a fairy invasion down at Pier 39, the hottest shopping spot in San Francisco. Each eBook comes with a bonus humor fantasy short story. These are quick reads suitable for all ages. I’m now working on the third Cathy Pembroke Tale, “Ogres at Alcatraz Isle.” The worst thing about ogres? They’re not as dumb as trolls. 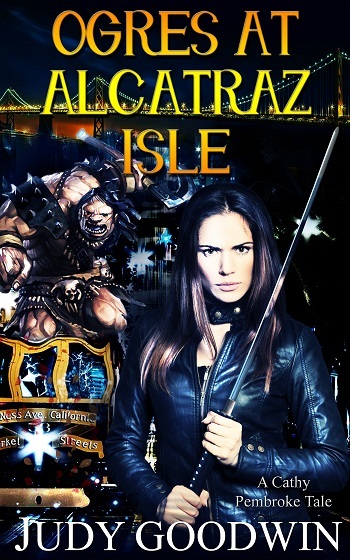 When ogres take over the prison and hold the tourists as hostages, Cathy must take a team of police officers out to try and recapture the island. This will be her greatest challenge yet. New cover for Troll story! The second tale, “Captured,” tells the story of a fairy who has been captured by human children, and her little plan to escape. “Look, Martha, I caught one!” a great booming voice says. Standing tiptoe against a blade of grass, I can see the source–a human, a boy. He leans down and grins at me. I retreat to the back of my prison, wings fluttering, green hair falling into my eyes. “Oh, do be careful, Michael. Don’t hurt it.” A second voice, a girl’s, rings out behind me. I turn to see lacy folds of a petticoat before she kneels to look at me. “Please, let me go,” I say. 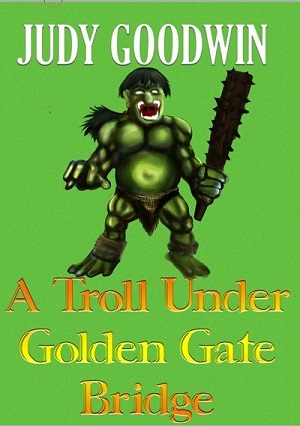 So my short story “A Troll Under Golden Gate Bridge” is being featured today over on Short Fiction Spotlight: http://shortfictionspotlight.com/2013/08/07/featured-story-a-troll-under-golden-gate-bridge-a-short-story-by-judy-goodwin/. The funny thing about this is I’m changing the cover of this to go along with the second Cathy Pembroke tale, which will be coming out next week. The artist is working on the final today, so I’ll be showcasing the new cover in a few days or so. I look at the old cover and cringe–it was one of my first, just pasting two images together that went along with the two short stories in the book. Viva la Change! I’m just happy that my newer stuff is starting to look better. I just have to announce that after a little break from technical writing during the Recession, I’m back! The last four years I had to get a job in education as as academic counselor–not a bad job, but also not one that pays much. Just yesterday I received a job offer that will pay me twice as much doing what I already love: writing. Yes, it’s technical writing, but it’s still something I love. I did it for years as a consultant before my government contracts ran dry with state budgets in crisis. I’ll also be commissioning a new cover for the first Cathy Pembroke story, “A Troll Under Golden Gate Bridge” using the same artist. I love DeviantArt–one of the best places to find artists from all over the world with really reasonable commission rates. I’ll probably wait until I have the new cover for “Trolls” to roll them both out at once.